Little red riding hood was walking…. 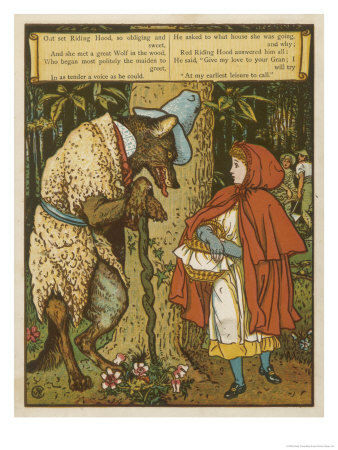 Little Red Riding Hood is skipping down the road, when she see’s a big bad wolf hiding behind a log. The wolf runs off. Later she see’s him hiding behind a road sign.